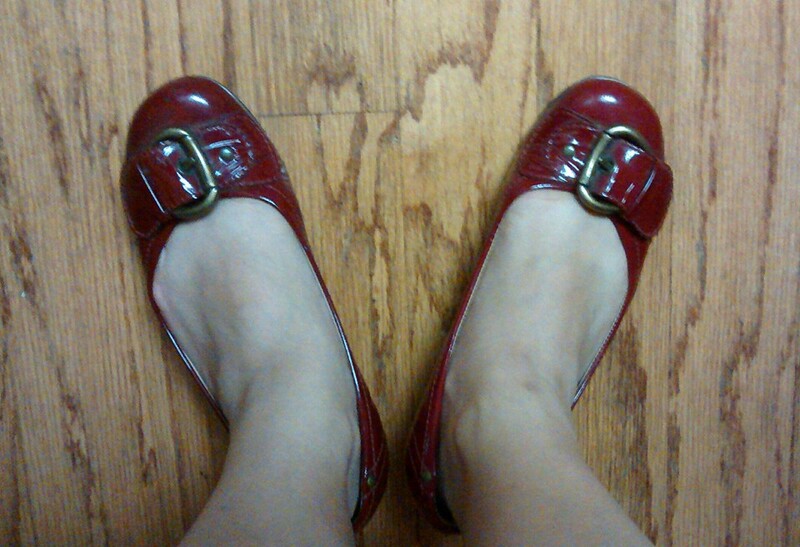 These are my favorite patent leather flats. I wore them to work today, and then it rained all day. I would have been better off with rain boots. My Lifers Group was scheduled this afternoon, and I had to leave our building to get to the group room. I didn’t have an umbrella, and I had to carefully step around puddles to keep from getting my feet soaked. The lifers were waiting outside the door, watching as I approached. To some people, that may have sounded like a criticism. What I heard underneath that gruff, convicted murderer/formerly active gang member’s comment, though, was, “It’s raining, and I’m concerned that your feet will get wet and you could catch a cold.” He may not have articulated those words, but I knew the sentiment was there.